Westende Communal Cemetery is located 4 km north of Nieuwpoort and 14 km south west of the port of Oostende, on the N318 which connects Oostende to Nieuwpoort via Westende. On leaving Oostende the N318 leads for 4 km onto Raversijde and then for 9 km to Westende. 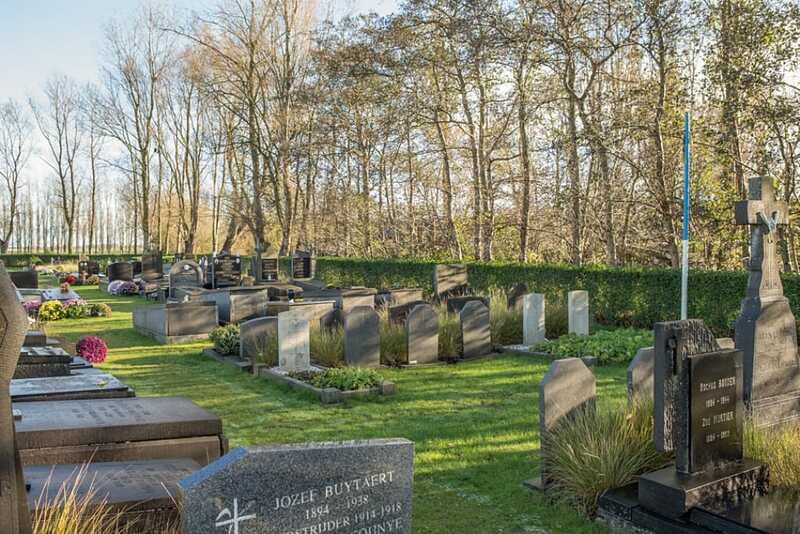 On reaching the village of Westende the cemetery is located after turning left at the village church onto Hofstraat. The cemetery is located 500 metres along the Hofstraat on the left hand side of the road. 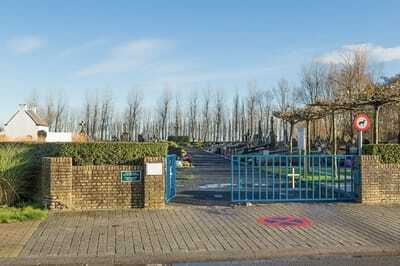 This cemetery is not an open site and access is limited by normal cemetery opening hours. 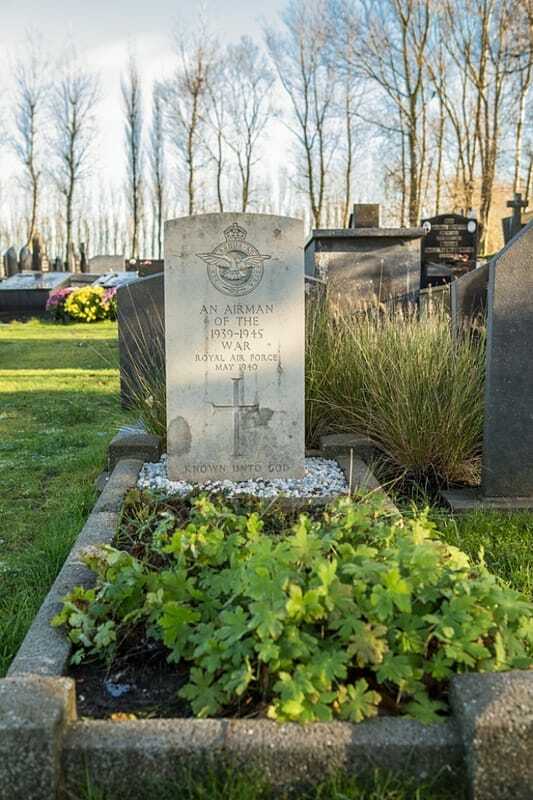 Westende Communal Cemetery contains three Commonwealth burials of the Second World War, one of which is unidentified. 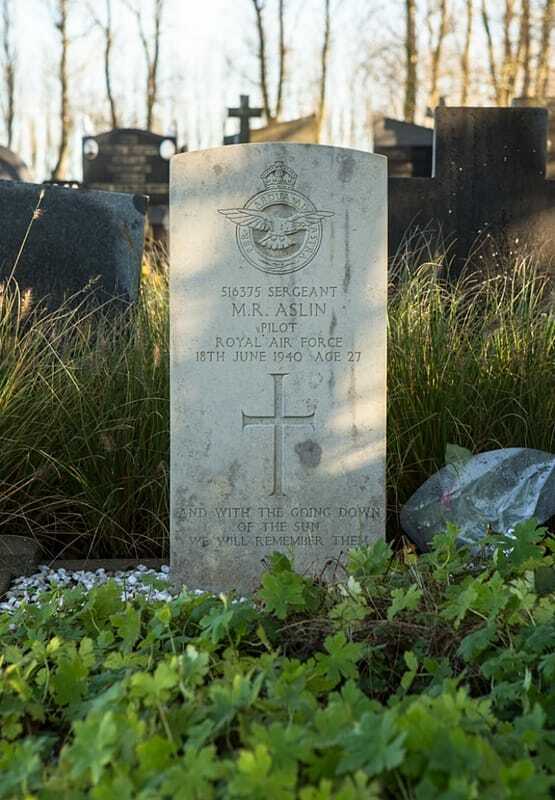 516375 Sergeant Maurice Robert Aslin, Pilot in 151 Squadron, Royal Air Force, died 18th June 1940, aged 27. Son of Robert John and Minnie Aslin; husband of Louisa Aslin, of Kingston-on-Thames, Surrey. 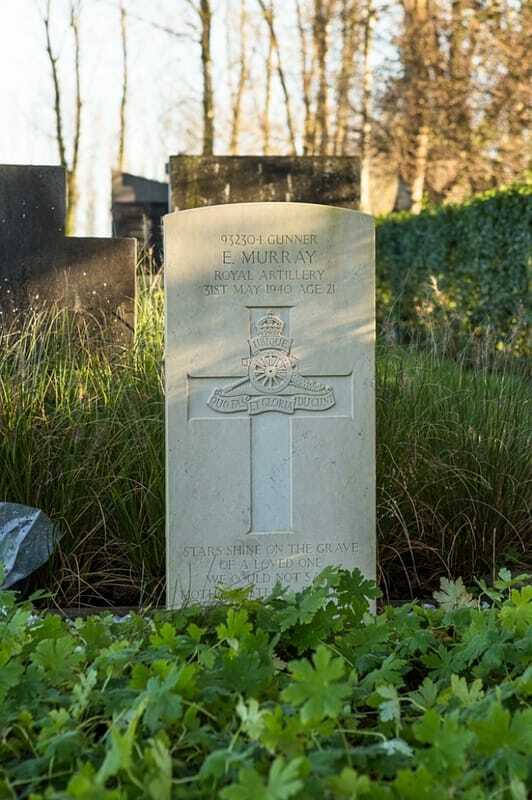 932304 Gunner Ernest Murray, 72 Field Regt. Royal Artillery, died 31st May 1940, aged 21. Son of Susan J. Murray, of Shotton, Co. Durham.